ROAD TOWN, Tortola, VI - Speaker of the Virgin Islands’ (VI) House of Assembly (HoA), Honourable, Ingrid Moses-Scatliffe at the Tuesday 27, 2018, sitting opted to abide by the Standing Orders—rules that governs the modus operandi of the House—and adjourned which denied the granting of a leave, requested by Premier and Minister of Finance, Dr the Honourable D. Orlando Smith(AL). 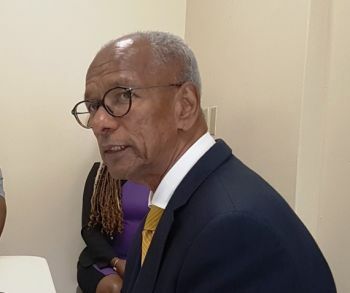 The stance taken by the Speaker stumped government legislators, including Deputy Premier and Minister for Natural Resources, Dr the Honourable Kedrick D. Pickering(R7), who could be heard in loud tone saying, “I beg your pardon (in creole)” after the Speaker adjourned sitting. Opposition Leader, Honourable Andrew A. Fahie (R1) and Honourable Julian Fraser, RA (R3) had raised objections to the sitting calling it illegal. 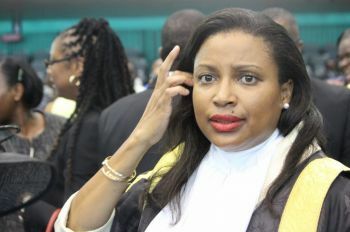 One such objection related to the constant tardy attendance of National Democratic Party (NDP) legislators and in addition to the fact the sitting was called in contravention of the Standing Orders as it relates to the issuing of notices to members. The two opposition members were unwavering in their arguments against the ‘illegal’ sitting which led to a recess for lunch. Premier Smith had attempted to move to have the notices issued by the Clerk of the HoA to be deemed as proper by suspending the relevant standing orders related to notices for members. This was subsequently denied by the Speaker. Having deliberated on the matter, the Speaker at the end found that yesterday’s sitting of the House had not been properly constituted . Time they stop using their power to do what they want with people . People here 30 -40 yrs commit no crime work hard pay their taxes and because they have no one to speak on their behalf their file kept going to the bottom of the pile . Appreciate Someone in power who finally see the importance in doing what's right...God is Good ...Never Get Wary ! This is yet another issue to show that the NDP is lacking both in protocol and by law. This is what we call lack of transparency. If Mr. Fahie didn't make this an issue seconded by Mr. Fraser, the illegal sitting would have gone unnoticed. I am glad common sense prevailed because it is my view that any debate or decision made would be illegal and could be contested on the ground of procedural impropriety. I am anxious to hear the debate on the million dollar school wall, but I want it to be heard in a legal sitting so with the other government businesses. The NDP is slowly but surely a shell of what it used to be and it is only time before it finally crumble to the ground. @ jusr curious. Slowly a shell?